The great memories we have from celebrating with Marci and Ed for their wedding! WOW!!!! If a night was close to perfect, their wedding at Hanover Grande Ballroom was it! SO MUCH FUN! The memories that A Splash of Color by Xtina and Memories Unlimited Videos captured will be cherished forever. Not to mention, the smiles everyone that views the pictures or video will have! The flowers from Ashley Florists were gorgeous! The purples and peacock feathers were a perfect match. The cake from Piece ‘a Cake was magnificent, and it was also clad in peacock feathers! PERFECT! 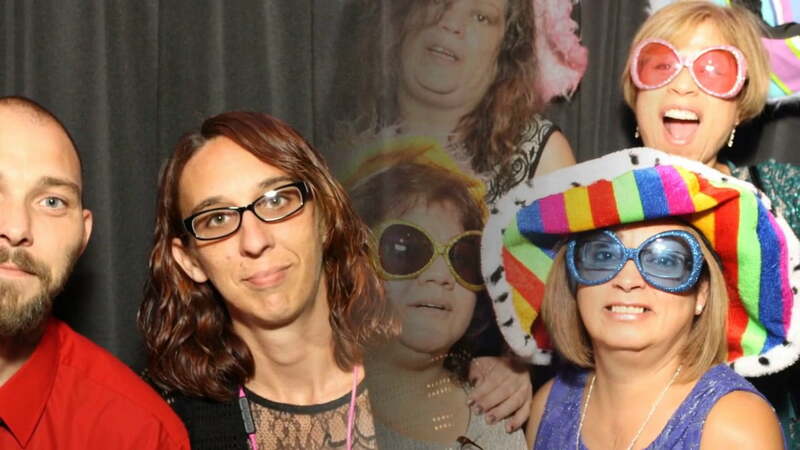 Oh, and the SMILES in the Rockin’ Photobooth will not be soon forgotten! Everything came together to provide such a romantic and fun ambiance that was felt by ALL! Congrats Marci and Ed!